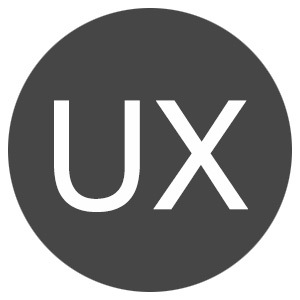 User Experience Design (UX, UXD or XD) focuses on the process of enhancing your user’s satisfaction with your website or online product. This process involves improving the usability and accessibility of your website or app. We work on the interaction that takes place with your audience and how your users interact with your online presence. Providing a good, positive, smooth user experience is crucial in multi device online business. We can help by you developing personas based on your product or services to target your audience and help you focus on reaching them. This process starts with target audience research which develops into user requirements and goals, wire frames help plan the user journey and develop your user’s journey. Red routes and pain points are identified and the design progresses to a prototype website build which can be user tested for your audience. Research and intelligence on how your target audience interact with your website or app is the core of how successful your website can be. Our research based on your audience profiles will help you target your market audience and to build and refine your user’s experience. Good UX design will help encourage users to stay with you and your brand creating a lasting impression positive experience by supporting future or existing customers. Help your audience by providing accessible information and products, find out more about your user experience by visiting our contact page to get in touch. You can also get a quote for a new, modern website or design refresh.